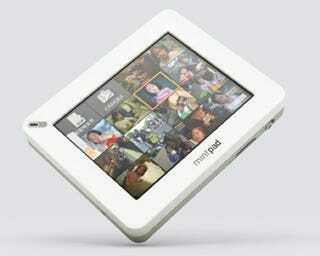 Digitized Post-It-alike gizmos aren't new, but none I can think of is quite as functional as Mintpass' Mintpad. It's a web-surfing, Wi-Fi, media player with 1.3-megapixel cam, microphone and built-in speaker, 4GB of memory with microSD expansion. Plus it's a 320 x 240-pixel 2.9-inch touchscreen note-taker.